NASSAU, Bahamas, May 7, CMC – Observers from the Commonwealth who will be observing the upcoming general election have promised to “act impartially and independently”. 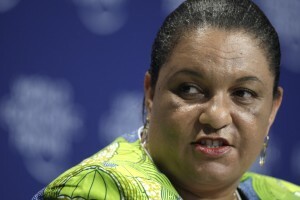 Chairman of the group, Hanna Tetteh, a former foreign minister of Ghana, made the statement on Saturday on behalf of the group that arrived here last week. “Our task as the Commonwealth Observer Group is to consider all the factors, to our knowledge, that would impact the credibility of the electoral process as a whole,” the former foreign minister said. The foreign minister added that she was “greatly honoured” to have been asked by Commonwealth Secretary-General Patricia Scotland to lead the observer group, which includes independent experts from Antigua and Barbuda, St Kitts and Nevis, and Guyana. The observers are expected to issue an interim statement of their preliminary findings shortly after election day. This is the first time the Commonwealth has observed elections to in The Bahamas. The group is scheduled to depart on May 13.